After a successful release of the video to her Hit single “Mo He (ft. Izzy)”, Thavma Records artiste “Esther Adewumi” is here again with another massive praise tune titled “Halleluya” produced by Rocky Tee, song mixed and mastered by label mate and Thavma Records co-owner, “Izzy”. “Halleluya” is a praise song giving thanks and gratitude to God for His great works in our lives. Watch out for more singles from Esther and anticipate a debut album as well. 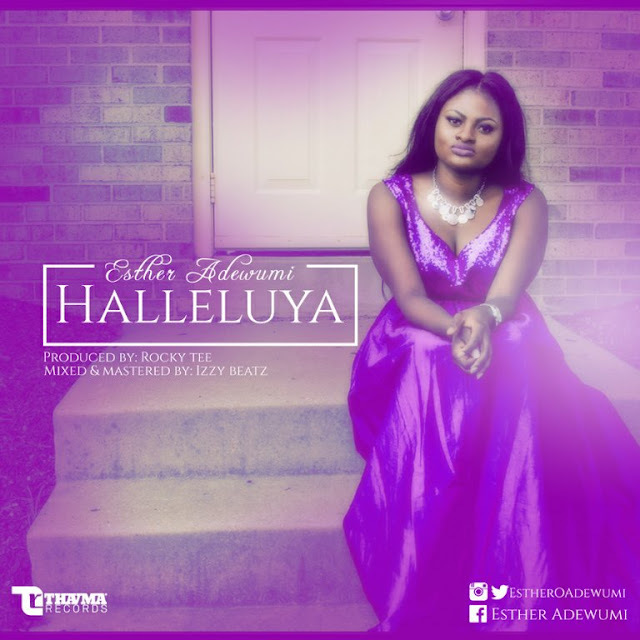 Enjoy ‘Halleluya’ by Esther Adewumi.